• Are You A Process Professional Who Works With Individuals? • Want To Learn Leading Edge Visual Methods For Your Practice? • Ready For More Color, Fun and Fulfillment In Work and Life? Visual Coaching, out of all the innovative things I get to do in my work, is my passion. It’s been a remarkable journey these last 20 years … experimenting in the early days … to developing a graphic niche that not only works in my own practice but now in the practices of 60+ coaches, counselors, therapists, financial advisors, disability specialists, etc. from around the globe. Once a year I offer Visual Coach Certification … a thorough training and licensing program in my visual methods and tools for working with individuals, partners and small groups. As ‘working visually’ grows throughout the world, interest in this powerful niche-within-the-niche grows too … as innovative souls awaken to its power and productivity. This program quickly and thoroughly brings you up to speed on the Visual Coaching methodology … whether you work in-person with your clients or virtually. Equips you with a solid, proven, step-by-step integrated system with plenty of room to ‘play jazz’ and weave into your own current work. 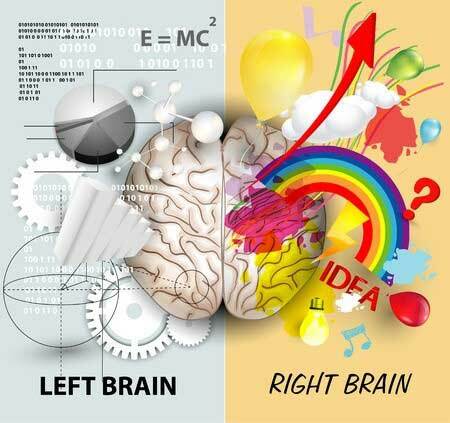 A game changer for your clients and yourself … as whole brains are now effectively engaged! 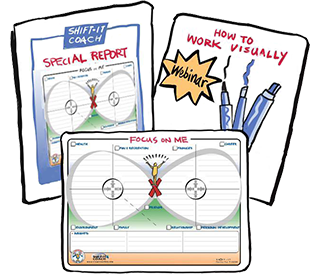 As in previous cohorts, Visual Coach Certification includes training and a life-time license in my SHIFT-IT Visual Coaching System® … with its 17 Visual Maps. 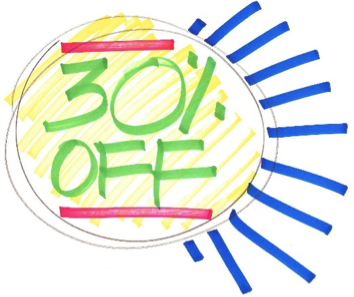 PLUS 13 NEW MAPS: 30 VISUAL PROCESS TOOLS IN TOTAL NOW! In 2016 I’ve enhanced the program with additional process moves: including a Mini SHIFT-IT Retreat, Law of Attraction tools, more Visioning Maps … plus the powerful and moving Orphan Rescue protocol. For even more flexibility and range within your practice. This robust program is for innovative Process Professionals who already work with individuals, partners or small groups (or want to) whether you are internal in an organization or an independent practitioner. Coaches, counselors, therapists, financial advisors, disability specialists, mediators and others helping professions. While proclivity for creativity is a must you DO NOT need to be an artist in order to effectively use this visual medium. If you are an artist, you can weave your own signature flair onto the stable foundational base I provide. IMPROVED COMBO PACKAGE: This year I’ve also enhanced the Combo Package, to include the two pre-requisites PLUS my 10-module Business Essentials for Process Professionals Kit. And, you can now take up to 2 years to complete the courses (either choosing to join us in 2016 or 2017 cohorts). Have you taken one, two or even three of the programs now included in the Combo? If you have, I’m allowing a one-time chance to roll your previous purchases into the new Combo Package (you can join us in 2016 or 2017 for Certification). Write admin@shift-it-coach.com for specifics in your situation. Must act by March 25th. I’m a Canadian, and as such all of my programs are in Canadian funds. FYI, the Canadian dollar is currently at a decade low … which translates into additional 30% savings for Americans, Europeans and some other locales. If you’ve had this training on your Vision Board, now is the time to act before our dollar climbs back up. P.S. 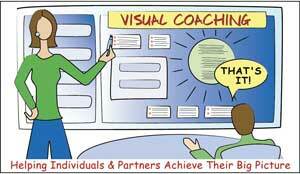 Did you catch the recent 90-Minute Info Webinar “Intro to Visual Coaching” that I did last weekend? If not, register here for instant access to video and slide deck shared. Gives a good overview of this methodology and its benefits to you and your clients. P.P.S. 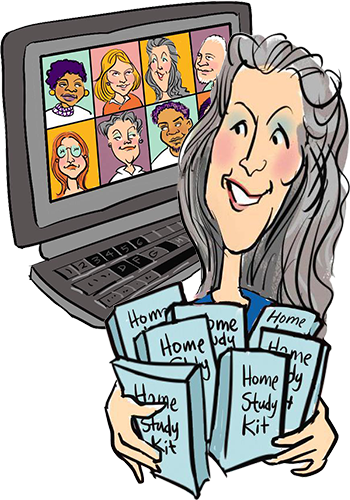 For a full overview of SHIFT-IT School curriculum (in-person classes, online classes and home study products) click here.